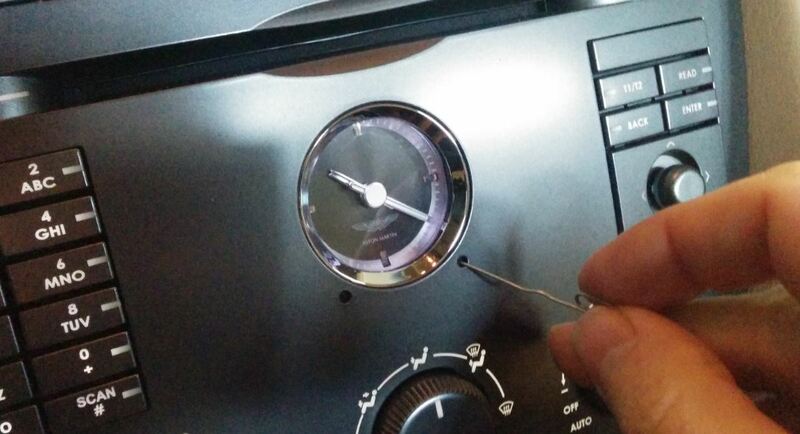 At least twice a year you probably need to adjust the time on your DB9 dash clock (with the changes for daylight savings time). Or maybe you’ve had your battery disconnected for a service event and the clocks time is off. Personally I think the clock keeps accurate time, I’ve never needed to tweak the time due to it drifting on its own. Changing the time is very simple and probably doesn’t warrant a post and video, but since it’s officially part of the Aston Martin Annual Service routine I thought I would do a quick one – some people are visual learners and are encouraged when they see others do it. 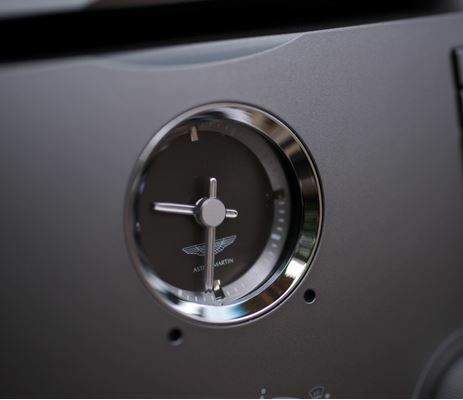 Just below the clock to the right and left are two small holes (with recessed adjustment buttons). The left hand one turns the time backward. 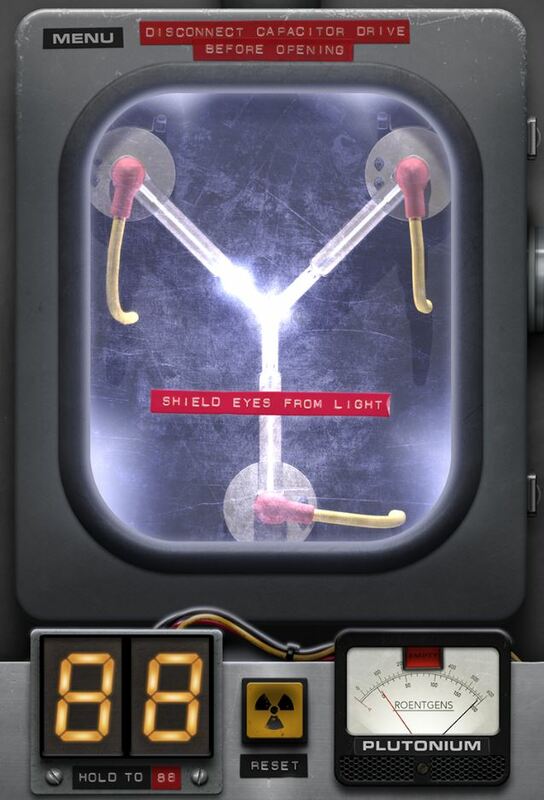 The right hand one turns the time forward (all without 1.21 jigawatts of power and a flux capacitor!). The car doesn’t need to be on. The only tools you need are a paper clip and an accurate time source (your cell phones time). Bend the paperclip so you have a pointy end that will fit into the holes. Carefully insert the paperclip into the hole (don’t scratch the dash) and press the button. If you press and hold, the time will change faster. If you over shoot the time you want, remember you can just use the other button to move back a bit as needed (no need to go all the way around 12 hours). Hi Steve, thanks again for your excellent postings, I have just successfully completed the 2 year service on my 2009 DB9 and replaced the four side marker and two parking light bulbs at the same time. 5 of the six bulbs in my car were burned out. I have put less than 400 miles on the car since purchasing it late last year and immediately noticed a problem with the limited slip differential wherein the rear tires were crabbing badly when I cornered either left or right.The crabbing was so severe that it would shake the car and became a big concern. I had a European car repair/service center in Ft Worth Texas (where I purchased the car) do a 150 point PPI before I purchased the car and they claimed to have changed the rear diff and engine oil as part of the inspection. This then was the first thing I tackled after reading many blogs online that this is an issue with the DB9 and that the diff oil needs to be changed every 2 years with a slip additive added. After taking 2 hours to remove the bolts from the rear under-tray (rusted) I knew the oil hadn’t been changed and it looked nasty when it came out and has probably never been changed from new. New diff oil filter, plus Amsoil gear oil and slip additive and my diff problem seems to be gone, happy days! The engine oil filer change was a challenge as you point out, the two extremely dirty air intake filters had a March 2012 mfg date stamp on them, so probably the last time they were changed, although the engine oil and filter appears to have been changed in mid 2015 some 1000 miles ago. Bleeding the brakes was simple by following your instructions, but the real nightmare was changing out the parking lights which took me about three hours to complete, there’s simply no room for your hand up under the light assembly. I replaced the standard w5w bulbs with LEDs since I never want to do that miserable job again. I noticed that these OEM small bulbs run very hot with the beige plastic housings showing slight burnt/brown coloring. Good idea if you have the wheel liners out and the air box cover off to change the filters, to go ahead and remove the rest of the air box and change out these little light bulbs. You’ll only ever have to do it once if you use LEDs replacements but that once is very trying to say the least. Anyway a very satisfying job all round thanks to you Steve as I felt totally comfortable tackling all aspects of the 2 year service. Rusted bolts! Ouch. I like the idea of the LEDs, and am working on a piece covering every bulb in the car. If you can share what bulbs you used with me, I’d appreciate checking it out. Thanks. I ordered Calais led bulbs online model DG-T10-E-2-B through Amazon but they arrived too late, so after much research online I trekked down to my local Autozone store and purchased Sylvania model 168 LED bulbs which are also T10 and W5W equivalent, the latter specified by AM. I purchased 4 x cool white and 2 x blue (as spec’d by AM) for the front parking lights which, once installed, are very blue but look great on my midnight blue DB9. I found it difficult to find any cross reference information on the W5W bulbs, must be a European designation but I did discover they are the same as T10 bulbs which in turn cross references to the Sylvania #168 and 194/2825 part numbers. Philips and others also make these bulbs. The LED’s pull such little power that any of these bayonet style, small, 5watt equivalent bulbs will do the trick I believe. Thanks for this feedback. I will be incorporating bits like this into an upcoming series on changing all the lamps.